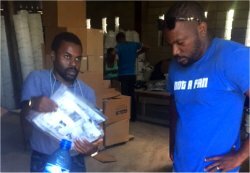 The team collecting the 450 filters from the Sawyer PointOne water filter depo in Port au Prince en route to Jacmel. 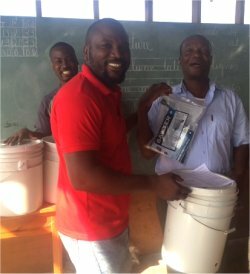 They have this wonderful invention to enable a community filter to be fully transportable. 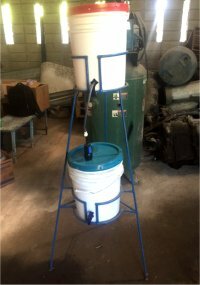 Emptying 5 gals of dirty river water filtered into a clean 5 gal bucket that has a tap to enable easy access to the filtered water. 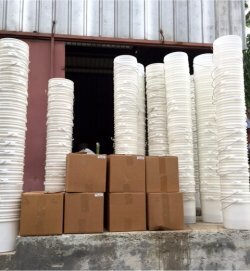 The team were able to purchase hundreds of 5 gal buckets to accompany the filters, thanks to the generous donations from companies in Barbados such as CIBC First Caribbean International Bank and Chefette. 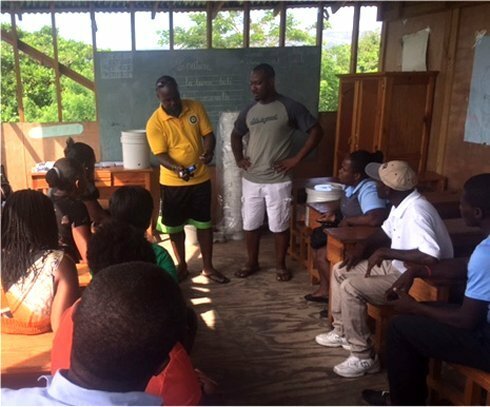 Seen here the team in Jacmel going through a demonstration of how to assemble to filters. 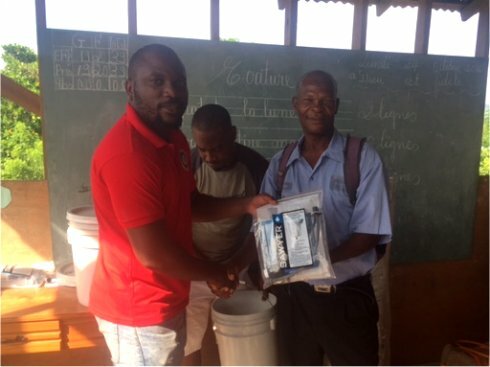 Pastors and teachers received their donation. 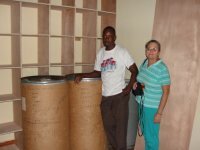 Jacmel is no stranger to UCT, we have been honoured to bless them with many gifts over the years and in 2010 Jenny traveled down to Jacmel deliver two barrels of adult clothes donated by the people of Barbados. 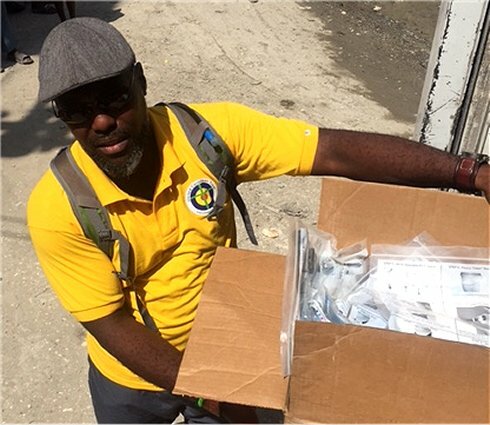 'Sponsored Family Hampers' were also distributed to families in Jacmel. 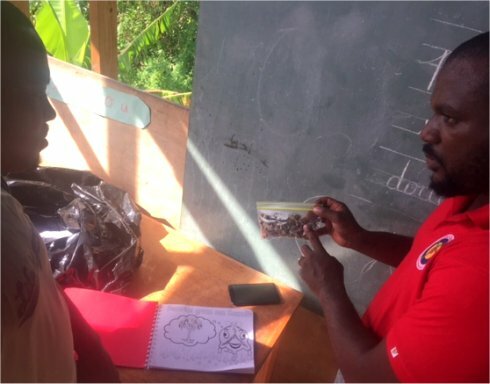 Thanks to Pastor Pierre Banes Laurore the founder and Pastor of World Missionary Evangelical Church and the Kids EE Haiti Coordinator for his help in enabling the Jacmel KidsEE training years ago in 2009. Over 10 different ministries were represented for the one day Kids EE workshop. 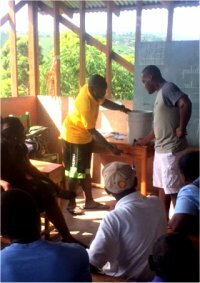 On the job work was done on Sunday at Restoration Ministries Haiti were the kids had a great time.